Texas Hill country wine is growing so popular, I am so proud of all the wineries that have ventured out to make our region a special place for people to come and enjoy some of the best wines anywhere. We are located in Brownwood, TX so right in the middle of your trip to or from one of the wine trails, we would love to have you come stay with us at Star of Texas Bed & Breakfast and bring your bottles of Texas wine that you have purchased on your trip. We have wine glasses and openers in each room for your use. We also provide a cutting board, knife, plates and napkins, so bring along your cheese, grapes and more to enjoy with your wine. Or you can just order our You’re Special package and it come with a bottle of Brennan Vineyard’s wine, and a wonderful cheese and fruit tray. So check our website for a date and cottage that works for you and come see us, soon. 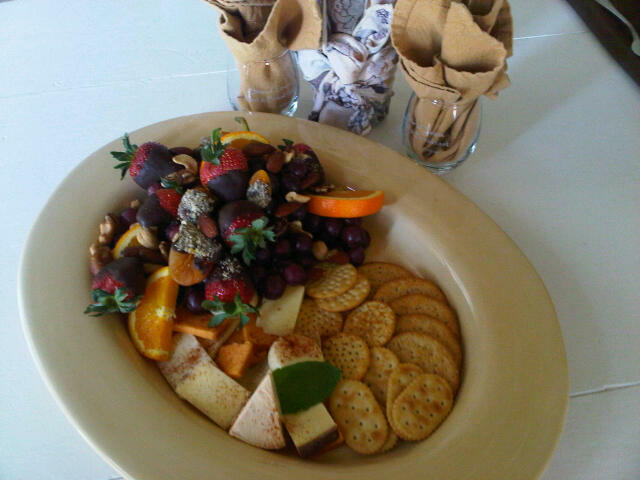 This entry was posted in Packages, Texas Wine Trail by admin. Bookmark the permalink.